Fabio Borini, who has been linked with Newcastle United, insists that he has always planned to stay at AC Milan and dismissed thoughts he could have moved to China earlier this month. Rafael Benitez's Newcastle side are in the market for reinforcements in the current transfer window and Borini has been mooted as an option. He had appeared on course to move to China when a big money bid came in, but Borini says such a switch was never a close prospect and has reitrerated his commitment to AC Milan, despite the transfer window still being open. 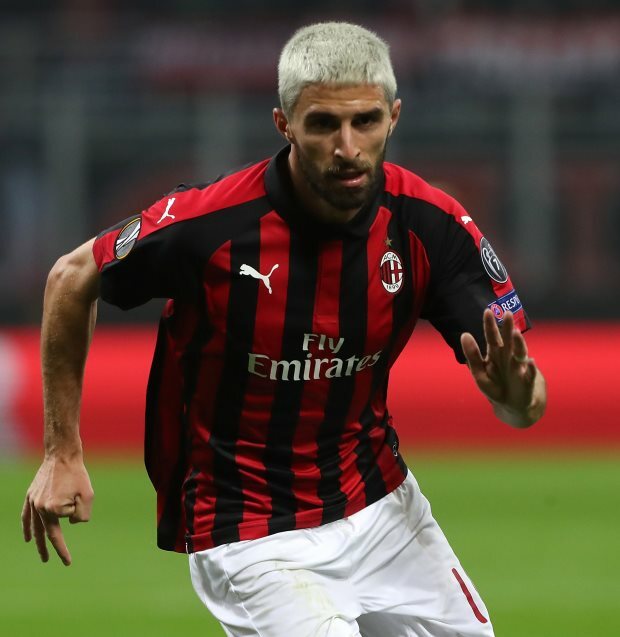 Following AC Milan's 2-0 win away at Genoa on Monday, Borini was asked about China in the mixed zone and replied: "It was never close and my thought was to stay at Milan and do well. "I am happy now and for the future. "The victory is key ahead of the next matches and also because it is always difficult to win at Genoa." AC Milan now face a double header against Napoli, in Serie A and the Coppa Italia, before a trip to Roma. The Rossoneri sit fourth in the Serie A standings on 34 points, while Roma are just a point behind on 33 points. Borini has played in England before, enjoying spells at Chelsea, Swansea City, Liverpool and Sunderland.